Having begun to play piano at the age of five, Dr. Jong Eun Lee entered the prestigious Seoul Arts High School in Korea. Upon graduation, she went to Germany for further studies. She received her Künstlerische Reifeprüfung degree from the Hochschule für Musik Detmold, Abt. Dortmund, where she studied with Prof. Richard Braun for 5 years. She was then accepted into the Konzertexamen program—the highest degree awarded by German music universities—at the Robert Schumann Hochschule Düsseldorf, where she studied with Prof. Roberto Szidon. During her years in Germany, she gave numerous solo and chamber recitals and performed with the Dortmund music school orchestra as a winner of their concerto competition. She also participated in the international summer master courses given by Sergei Dorensky, Anatol Ugorsky, and Vitaly Margulis, and was selected to perform at the academy concert in the International Summer Academy Mozarteum Salzburg, Austria. After moving to Seattle in 2004, she earned her Master of Music in Piano Performance from the University of Washington School of Music. She performed in master classes for Prof. Arnaldo Cohen and Angela Cheng and also was featured as soloist with the University Symphony in Meany Hall, winning the annual UW concerto competition. She completed her Doctor of Musical Arts degree at the UW School of Music under the guidance of Prof. Craig Sheppard. 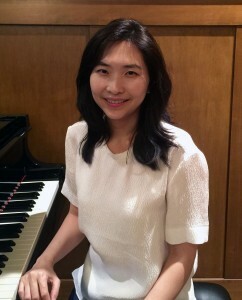 With her warm personality and patience, Dr. Lee guides students to develop solid technique and deeper understanding of all aspects of music. She shares effective practice methods and ideas to improve their musical expression and overcome their individual challenges.